Are you a Provo adult who suffers with chronic headaches? Have you tried Imitrex, diet adjustments, and chiropractic treatment? Perhaps the cause is not stress-induced tension, spine alignment or eyestrain. Maybe the culprit is right under your nose. 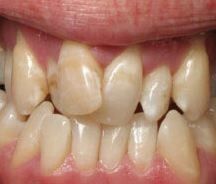 Bite misalignment or malocclusion is a common Provo problem that often goes undetected. Nature intended the front teeth to fit slightly forward from the lower teeth. With a perfect bite, the molars fit together like precision gears. Provo invisible braces are an effective solution for most bite problems. Braces not only move teeth, they can also correct the position and function of the joints, muscles and bones in the jaw. In cases of extreme malocclusion, jaw surgery in Provo may be necessary. Not all Provo area family dentists treat bite problems. At Hammond Aesthetic and General Dentistry we are able to examine your bite and let you know if you will need a specialist. For an affordable Provo dentistry consultation, call us at 801-374-0070. 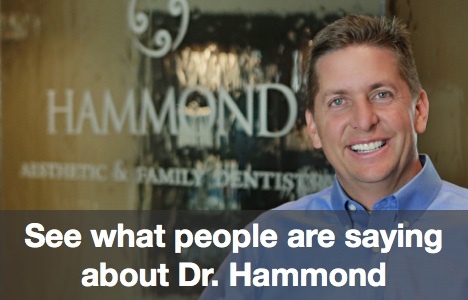 Hammond Aesthetic & General Dentistry offers technologically-advanced dentistry in a friendly environment. We offer smile whitening, porcelain veneers, tooth-colored fillings and dental implants. To learn more about our dental philosophy and available procedures, see /about.htm. Dr. Hammond are proud members of the American Academy of Cosmetic Dentistry.